At Echo Geo our philosophy is to build relationships with like-minded companies who offer complimentary services to our own. Through cooperation agreements and technical collaborations we are able to offer the right geoscience solutions whilst maintaining low overheads, a saving that we ultimately pass on to our clients. 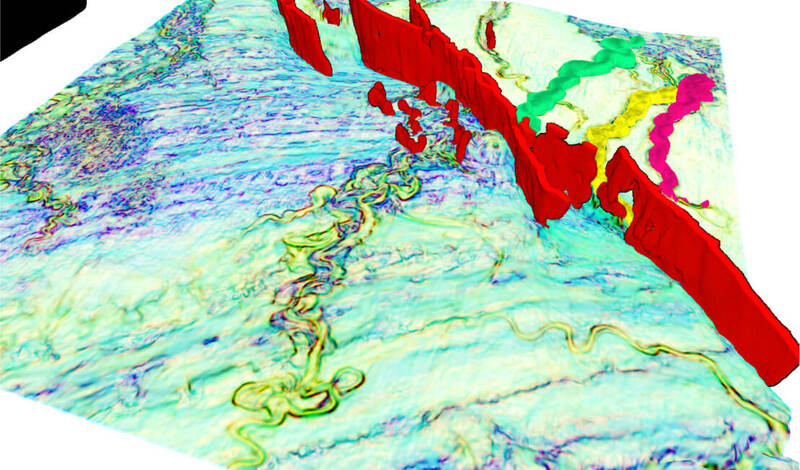 Echo Geo are proud to have teamed up with ExploCrowd, to jointly explore opportunities primarily focused on the Norwegian Continental Shelf (NCS). We love the ExploCrowd concept as it represents a new and refreshing approach to exploration. This collaboration embodies our philosophy of developing key partnerships that deliver innovative and competitive subsurface solutions. 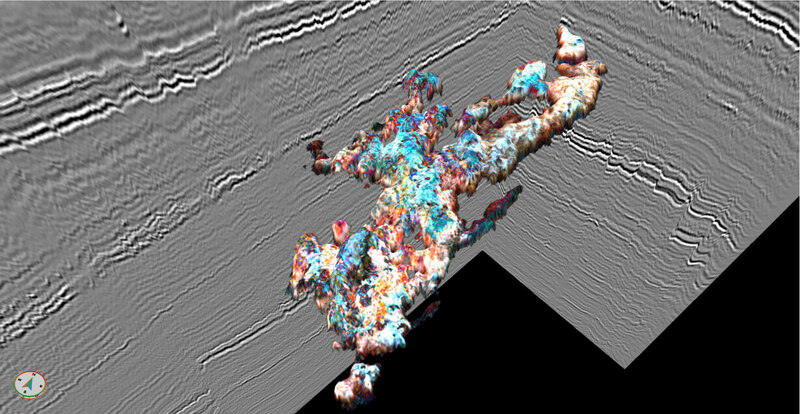 Combining Echo Geo’s exciting 2D and 3D interpretation workflows with ExploCrowd’s deep understanding of the NCS we have created a unique competitive advantage that allows us to maximise the geological understanding from the subsurface data. ExploCrowd is privileged to team up with Echo Geo, and will draw upon their extensive knowledge and expertise to deliver high quality products to enable acceleration of exploration on the NCS. The Echo Geo team have access to highly specialised geophysical workflows, which can build confidence in our exploration concepts. We are really looking forward to explore these opportunities together with Echo Geo. Echo Geo aims to deploy the best interpretation technology to help our clients better define and de-risk their exploration and development opportunities. The GeoTeric platform is a perfect example of cutting edge software that delivers intuitive example driven workflows and cognitive interpretation capabilities. 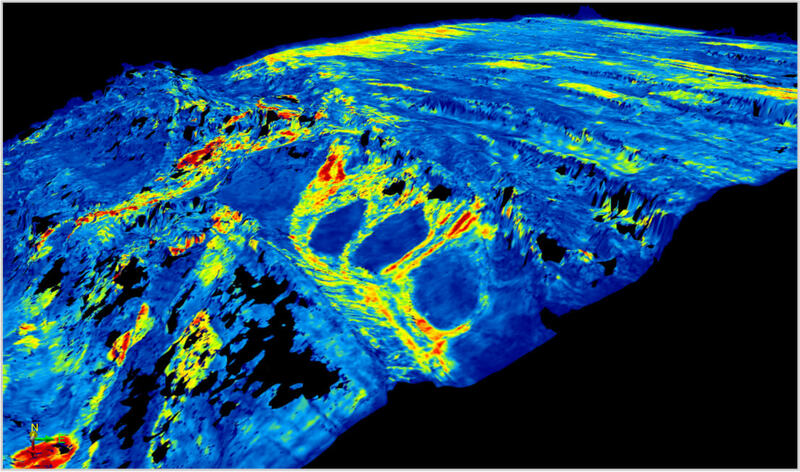 Echo Geo is proud to have entered into an innovative Cooperation Agreement with GeoTeric to not only provide interpretation & training services but to work collaboratively with the GeoTeric development team to further enhance the software. 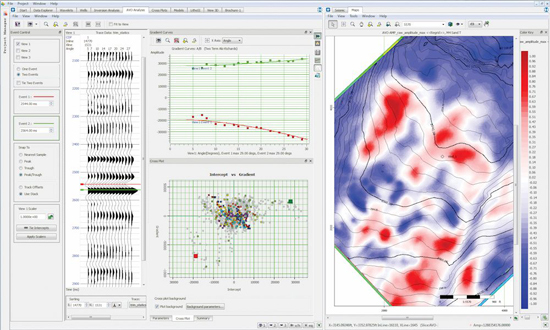 This Agreement affords Echo Geo unique access to GeoTeric’s prototype R&D tools and we look forward to deploying these capabilities on our client's datasets to extract more quantitative geological information. GeoTeric’s fault expression interface & example driven CMY blending. 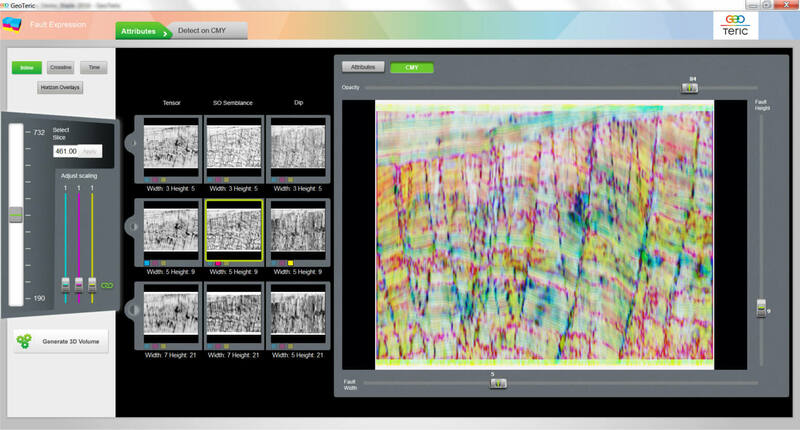 CMY blended attributes highlighting stratigraphic subtleties and detailed channel morphology. Geo-bodies have been extracted directly from the blends (upper right). 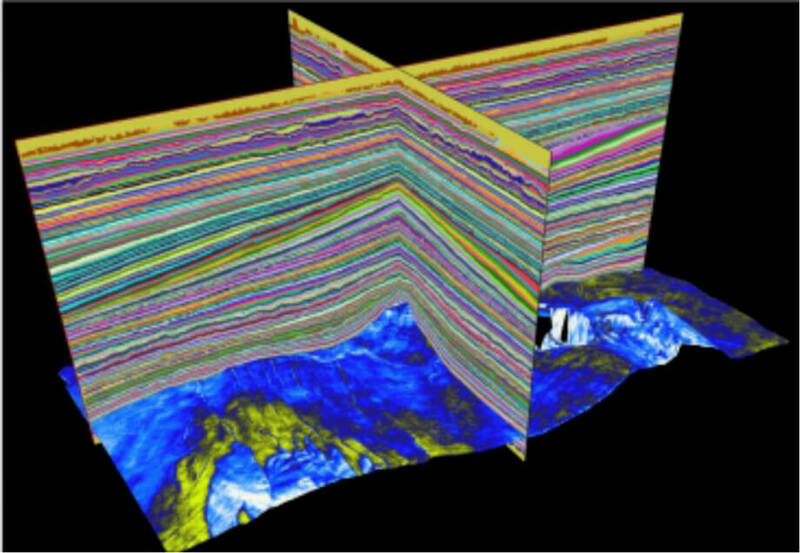 The team at Echo Geo have already played an important advisory role in the recent development of GeoTeric and are true experts in using the software to maximise the geological detail extracted from the seismic data and to provide valuable insights on potential reservoir performance. GeoTeric is very pleased to endorse Echo Geo as a provider of interpretation services using the GeoTeric software and due to Echo Geo’s high levels of expertise with the software it has been given unique access to research functionality being developed by GeoTeric ahead of its full commercial release. We look forward to working with the Echo Geo Team as this relationship develops. 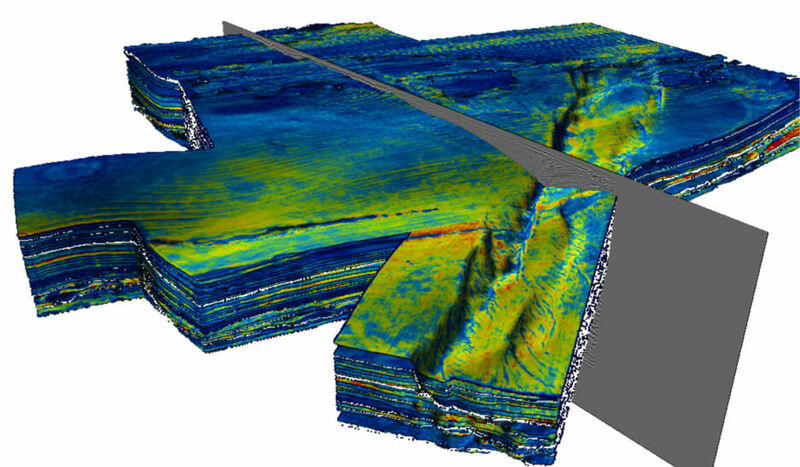 Echo Geo offers advanced reservoir characterisation workflows by leveraging CGG’s HampsonRussell software suite. This software enables us to accurately quantify critical risks and challenges in exploration, appraisal and development projects which helps our clients make better informed investment decisions. 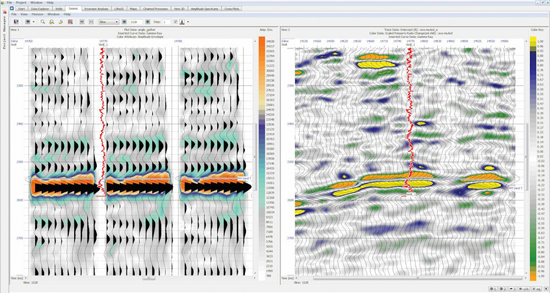 CGG GeoSoftware has entered into an agreement with Echo Geo to provide world-class quantitative geophysical interpretation and analysis software through the use of the HampsonRussell software suite. Through this agreement, Echo Geo will work closely with GeoSoftware to provide input to further enhance and improve the toolkit. Echo Geo’s philosophy of innovation and collaboration aligns with GeoSoftware’s strategy of continuous improvement. By fostering an environment of cooperation between the two companies, Echo Geo is helping to enhance the HampsonRussell user experience. This will ultimately benefit the wider client base. Lyme Bay Consulting has built a reputation for its Detailed Reconnaissance Study (DRS) workflow which delivers fast and accurate horizon interpretation through an entire 3D volume. Through this workflow, structural and stratigraphic subtleties are identified much faster in order to high-grade leads and prospects. The two companies have a technical cooperation which combines Lyme Bay's DRS workflow with Echo Geo’s industry leading seismic attribute & quantitative interpretation expertise allowing us to leverage a competitive advantage through integrated seismic interpretation & analysis. Structurally & stratigraphically accurate geo-model with 200+ horizons rapidly generated. Rapid prospect and lead identification and stratigraphically consistent horizons on which multiple attributes can be draped. Horizon extracted from the geo-model with draped attribute highlighting reservoir sand provenance. Lyme Bay Consulting are very excited to be working with Echo-Geo to offer advanced, innovative interpretation and characterisation techniques. This collaboration adds significant value to the exploration and appraisal cycle, helping to identify, understand and quantify risk, for a greater number of opportunities, far earlier than traditional interpretation solutions.